Never Heard of Wedding Sparklers? Here's Why You Want them at Your Wedding! If you’ve never heard of wedding sparklers, do we have news for you! Wedding sparklers are a great addition for your special day. If you’re new to the realm of party sparklers, allow us to fill you in. Wedding sparklers can truly light up your special day! From send offs, to party favors and toasting, we will tell you all the creative ways party sparklers can be incorporated in your celebration. You’ve racked your brain for the perfect wedding send off. You’ve contemplated using doves (very traditional) or throwing rice (old school), we have the solution for your send off. 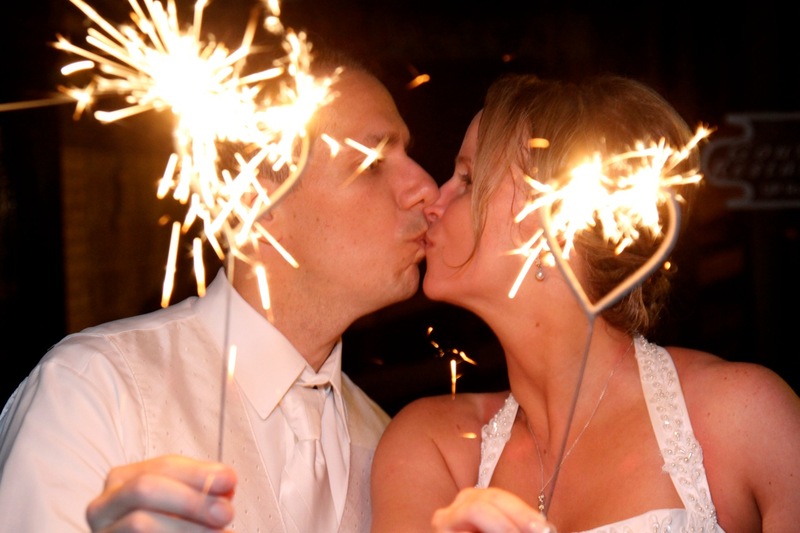 Consider using wedding sparklers as you leave your wedding, hand in hand. This send off is sweeping the wedding circuit and makes for fantastic photos. Our tip: plan this send off in plenty of time. Alert your guests about the time of the send off and be sure you provide plenty of party sparklers! Ready, set, run through the tunnel of sparklers, kiss and keep going! You want to thank your guests and wedding party for their involvement in your special day, but you don’t know where to start. You want to find the perfect gift to commemorate your special day while thanking them for their involvement. Why not give them personalized wedding sparklers? At Wedding Sparklers Outlet, we not only sell party sparklers, but specialized tags with your name, date or hashtag. Your guests will love their wedding sparkler gift with a special memento! View all of our wedding sparkler packages so you can choose one that fits your attendees. Away with that ordinary wedding toast. Let your guests celebrate you! As your wedding party goes to toast your special day, have them light their sparklers and hold them high! (Note: only use wedding sparklers when outdoors. It is not safe to use fire/lit objects indoors). Imagine how special it will be to look out to your friends, family and loved ones as they hold a beautifully lit sparkler in your honor! Visit Wedding Sparklers Outlet and view all of our wedding sparklers today!